Twenty people have died in a crash involving an old-time German-built Ju-52 plane, operated by a company offering panoramic flights over the Swiss Alpine resort of Flims, local police confirmed. A turboprop Junkers Ju-52 transport plane – capable of seating 17 passengers as well as two pilots and one flight attendant – went down over the Swiss Alps on Saturday. Earlier, local media reported that the adventure flight was fully booked. Ju-Air, a company which offers observation tours in the retro planes, said on Saturday that one of its aircraft was involved in an accident. Police of Graubuenden canton confirmed on Sunday that the plane crashed on the Piz Segnas mountain above the Swiss Alpine resort of Flims. Deceased passengers include Swiss citizens and a three-person family from Austria, police say. Causes of the crash are yet to be established. 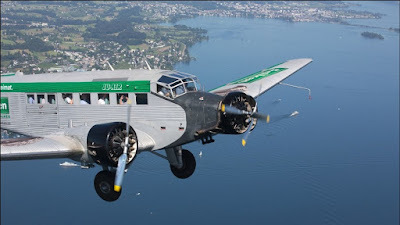 Local media say the ill-fated Ju-52 was first delivered to Swiss Air Force back in 1939 and was later de-commissioned. The three-engine plane featured in several films, including ‘Valkyrie’, a 2008 historical thriller starring Tom Cruise as Nazi Colonel Claus von Stauffenberg who attempted to assassinate Adolf Hitler in 1944, according to Blick media outlet. JU Air took over four planes of this type, with one retired two years ago. The company, which offers a 40-minute flight for $210, exists on donations from aviation enthusiasts. The historic aircraft are flown by airline and military pilots who work voluntarily.